Disney is taking full advantage of its ownership of the Star Wars franchise by combining it with its hit animated series, Phineas and Ferb. The special was announced earlier this year at San Diego Comic Con, but only now has an official release date been revealed, with the special airing on Saturday, July 26th at 9pm EST. 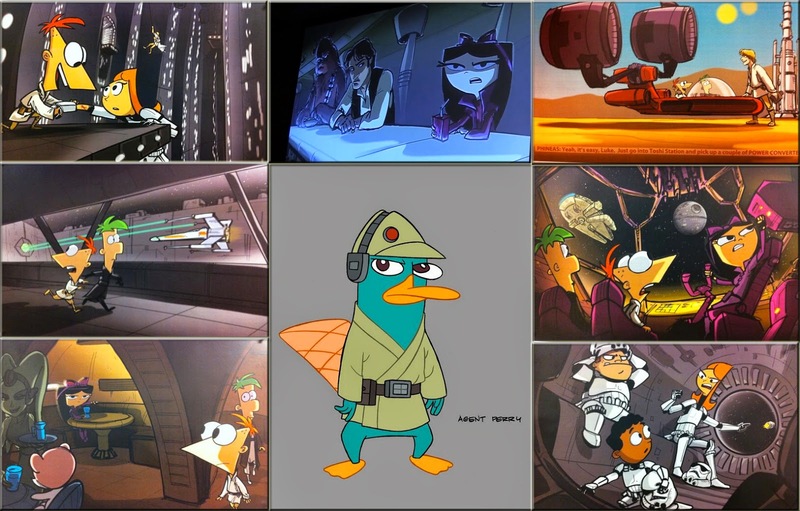 Unlike previous Star Wars parodies such as the Family Guy Star Wars parodies, the characters of Phineas and Ferb will not be portraying characters such as Luke Skywalker, Han Solo, etc. Instead, they will be playing roles that will be interacting within the universe of Star Wars Episode IV: A New Hope. Check out some of the concept designs for the upcoming special. Included in the special will be show-creators Dan Povenmire and Jeff Marsh, along with the voice talent of Simon Pegg as C3PO, and Adam Savage and Jamie Hyneman of Mythbusters fame, staring as members of the Empire. A preview of the special will be available through the Disney Channel WATCH app on July 19th, and the episode will re-air on August 4th as a Star Wars themed time block leading to an extended sneak peak of Star Wars Rebels. 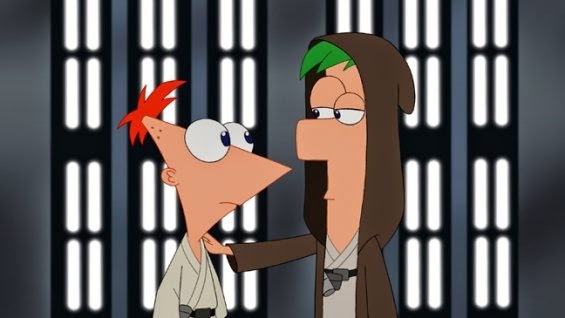 Be sure to catch Phineas and Ferb: Star Wars on July 26th on Disney. I only have one question. Will Meap make an appearance?